Women are front and centre in this year’s speaker line-up for the African Real Estate & Infrastructure Summit that returns to Sandton in South Africa from 11-12 October this year. The programme for the summit that focuses on all types of built development to develop the future African city, has just been released and is on point for August as Women’s Month. “Women should be respected and celebrated throughout the year and Women’s Month is a step in the right direction” says Ms Noluthando Molao, Associate Director: Construction Project Management at Turner & Townsend and speaker at the upcoming African Real Estate & Infrastructure Summit. She is the winner of several awards for outstanding women in construction and her most recent successfully completed project is the ORTIA Platform Extension Project for the Gautrain Management Agency. The full interview with Ms Modise can be read on the event website. 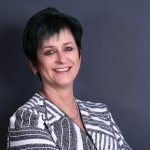 “How are the (IoT) Internet of Things and the 4th Industrial Revolution practically impacting the residential and commercial property landscape and the impact on developers and investors in this area” – is the title of the presentation by Ms Laetitia Cook, Director, BiZense and Real Estate lecturer at the University of Pretoria. “Rapid change is brought about by the 4th Industrial revolution, the Internet of Things, Artificial Intelligence and the ability to analyse huge data lakes, as well as new technology such as Nano tech, Med Tech, Prop Tech etc.,” says Ms Cook.